The Rev. Greg Tweed died on March 20, 2012. He served as pastor of Edwards Church in Northampton from 1975-1979. The following obituary appeared in the Miami Herald on March 29, 2012. The Rev. 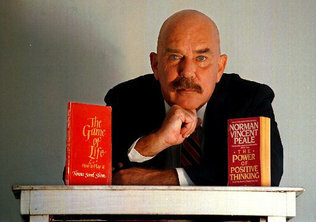 John Gregory Tweed, whose calling led him from the pulpits of historic Northeastern churches to the bedsides of desperate South Florida AIDS patients when HIV was still a death sentence, died of heart disease March 20 at his home in New Mexico. He was 72. Once a disciple of the Rev. Norman Vincent Peale, whose The Power of Positive Thinking became a 1950s self-help blockbuster, Tweed later accused Peale of occult-inspired plagiarism in a controversial article for the Lutheran Quarterly. A Lutheran minister’s son, “Greg’’ Tweed descended from a founding family of New York City. Born in Yankton, S.D., on Jan. 16, 1940, he grew up in Denver, rural Minnesota and Chicago. He earned an undergraduate degree from the College of William and Mary, and a doctorate of divinity from Yale University. In rich, erudite tones, with the precise diction of a Broadway actor, Greg Tweed preached at Congregational Churches in Connecticut, Massachusetts and New York before joining Peale as co-pastor at New York’s venerable Marble Collegiate Church. After a falling out with Collegiate over his unconventional ministries — to sufferers of what was initially called the “gay plague,’’ street people and addicts — and a devastating emotional collapse, Tweed came to South Florida in 1988. He settled in east Fort Lauderdale’s Sailboat Bend when drug dealers outnumbered the preservationists who’d ultimately reclaim the neighborhood’s charming frame cottages. After his life partner succumbed to complications of HIV at age 32, Tweed became an AIDS chaplain for Outreach, a public/private program run by Hospice Inc. The program offered free services, including Tweed’s deeply personal ministry, to the sick men and women he found all over Broward County, from Fort Lauderdale’s fashionable gay enclaves to dismal Pompano Beach housing projects. He described his mission as “not about death. It’s about trying to make each day as good as it can be for as long as there is life. Our whole deal is quality of life, and that means comfort, companionship and just plain love . . . Patients want us to help them live. They don’t want to talk about ‘ain’t it awful.’ "
But it was awful for Tweed, who cradled scores of patients in his arms as they passed away. In 1995, Tweed and fellow minister George D. Exoo, now of West Virginia, published “Peale’s Secret Source” in the juried academic journal Lutheran Quarterly. They charged that Peale plagiarized the work of Florence Scovel Shinn, a 20th Century occult practitioner and teacher. Tweed began investigating the matter in 1990, after reading Shinn’s book, The Game of Life and How to Play It, and noting several familiar phrases. “I came across the phrase ‘When one door shuts, another door opens,’ one of the great Peale battle cries,” Tweed told The Herald. He and Exoo contended that by glomming onto Shinn, Peale, who died in 1993, had insinuated “ungodly’’ New Age spiritualism into fundamentalist Christianity. Witty and sophisticated, Tweed had a prodigious intellect, a sprawling vocabulary and a naughty streak. He was a gifted, theatrical raconteur with ice-blue eyes that pierced when he was serious, twinkled when he wasn’t — which was often. He spoke with passion about his history of human rights crusading, and with knowing amusement about New York’s art and music counterculture in the 1960s. He was briefly married in the 1970s. An accomplished primitive-style painter, Tweed left South Florida in 2002 for Santa Fe, N.M., where he became an artist-in-residence at El Zaguan, an artist colony run by the Historic Santa Fe Foundation. Chatty and charming, he became the colony’s unofficial docent, said Foundation Executive Director Elaine Bergman. In addition to brother Stephen, of Fargo, N.D., Greg Tweed is survived by his dog, Rochester, a terrier mix that will live with friends in Santa Fe.